(For description of series, see "for eb II: low-slung lamp/perch"). We never see a blue moon... 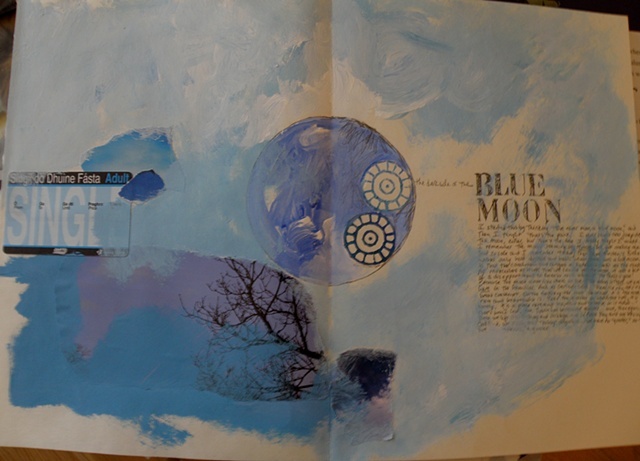 I was thinking through that here, and writing about finding our place in the world, and I have collaged an Irish train (the Dart) ticket in blue... finding my way.